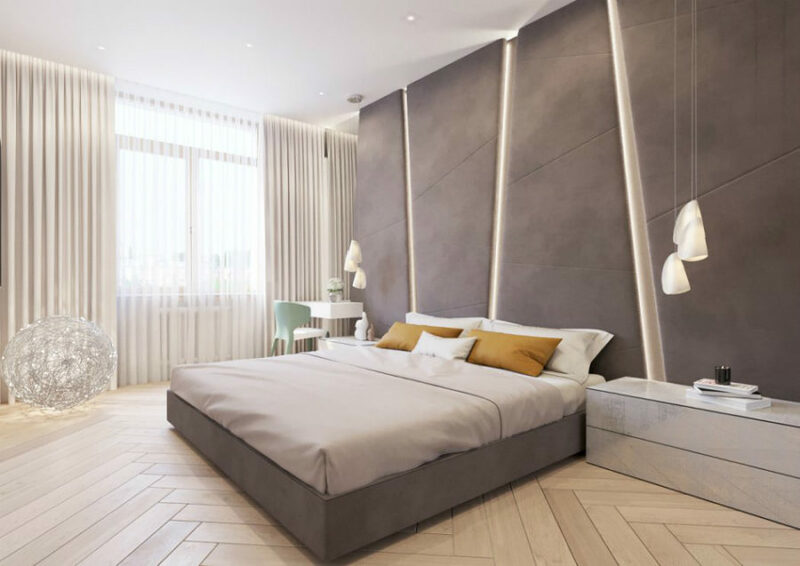 If we were forced to choose just one creative idea from this apartment, though, it would be the soft feature wall in the bedroom. Beautiful taupe upholstery is simply gorgeous and requires no additional headboard. 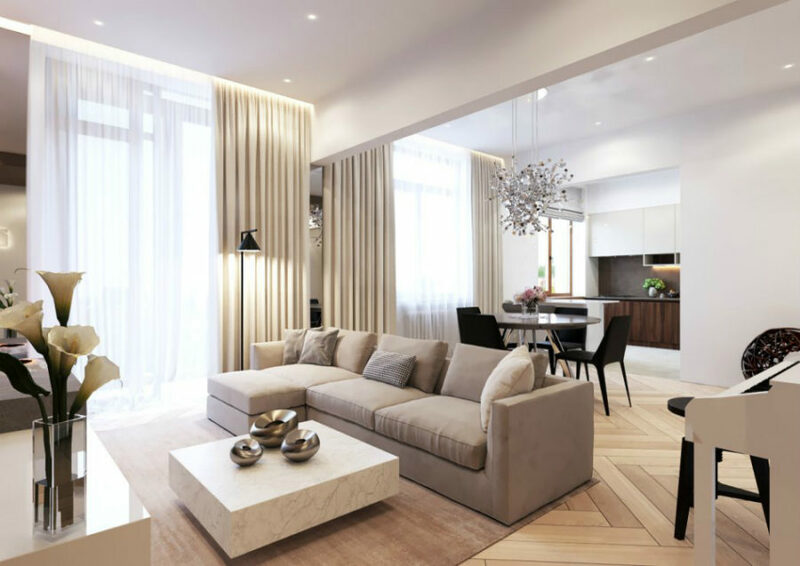 Elegant open layout living room boasts rich textures and neutral hues in this dream homes. 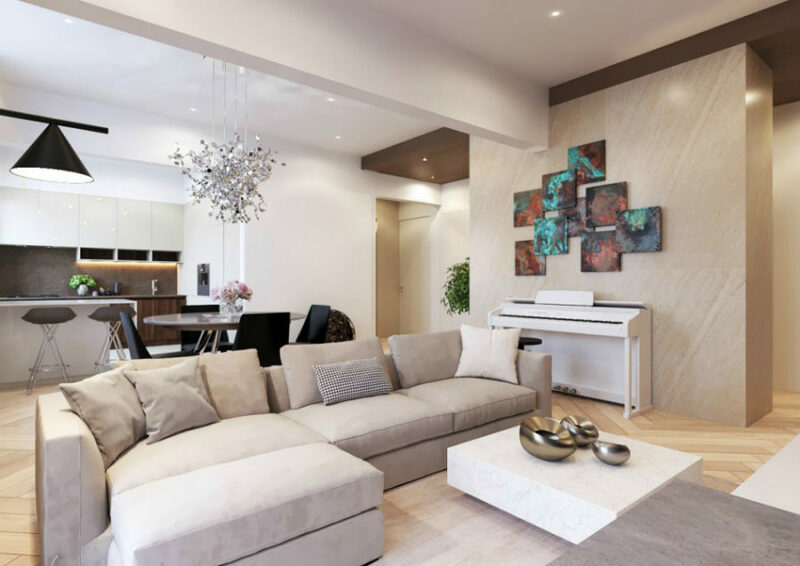 Wall art above the piano is the only bright accent as per the interior design in the room. A potted tree is another rare bright spot in the home decor. 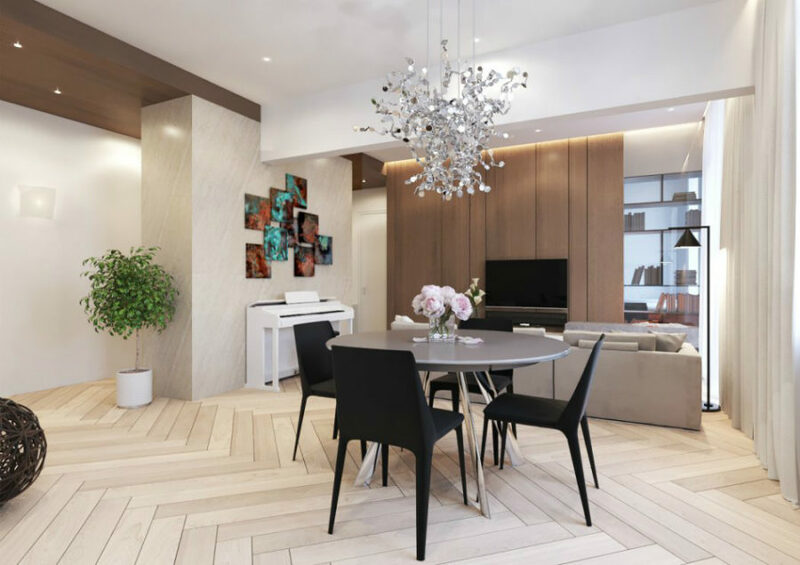 A round dining table stands underneath a unique metallic chandelier that echoes its base. 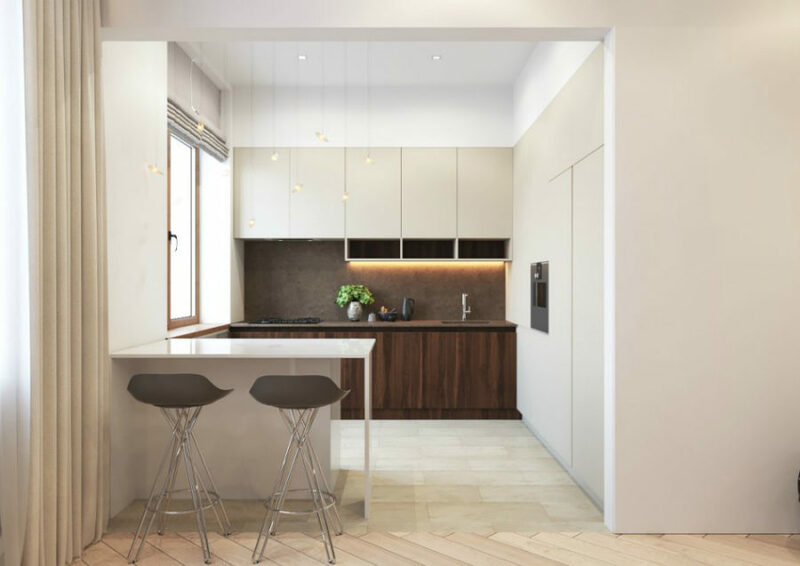 Minimal kitchen looks as elegant as the rest of the space in this designer homes. 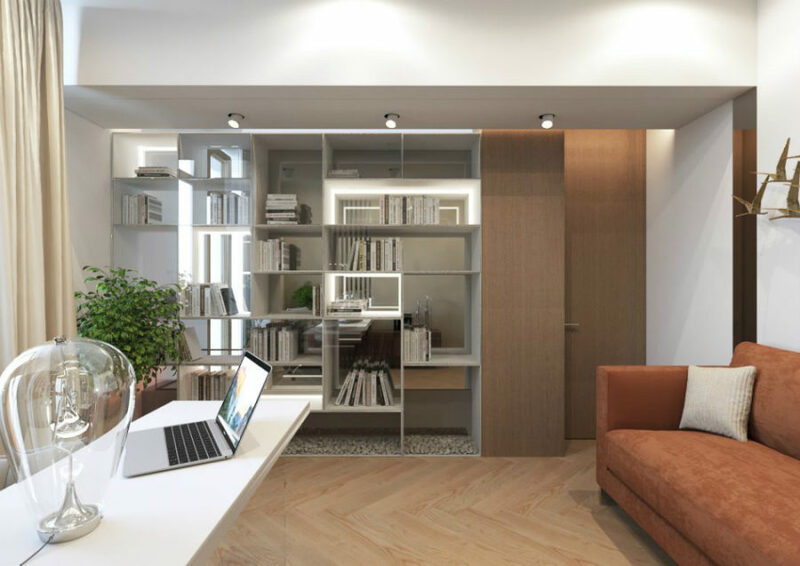 Home office stands behind an open shelving protected by glass. 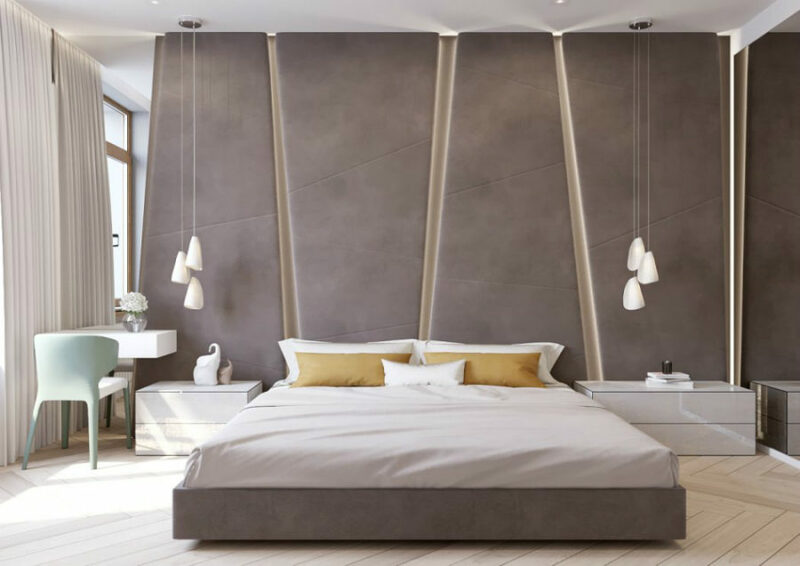 Contemporary bedroom continues the elegant theme as per the interior decoration and home decor with taupe bed and a matching soft wall. 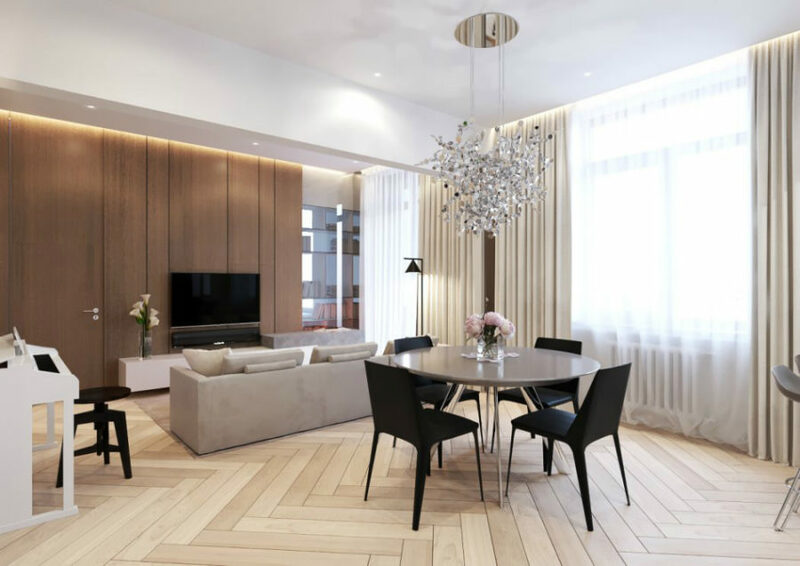 No headboard’s necessary with such a feature wall. 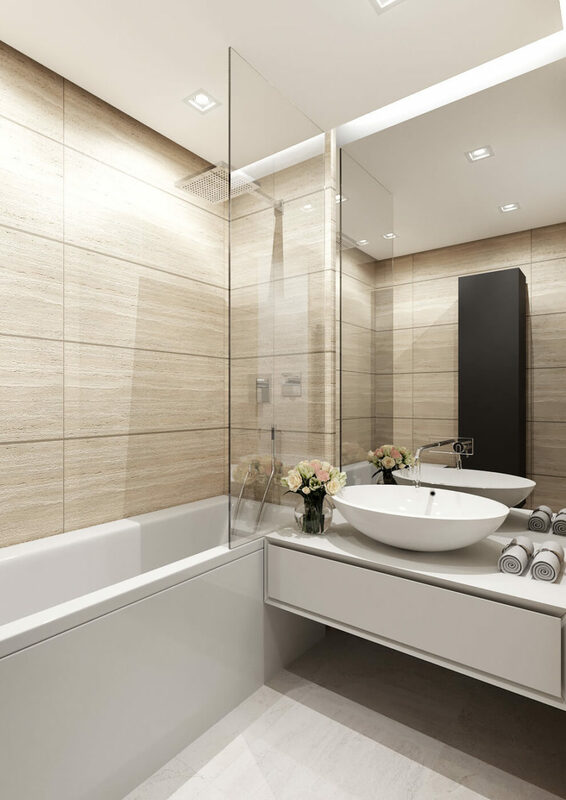 Bathroom takes advantage of light wood-look tiles to create an elegant but homey look. 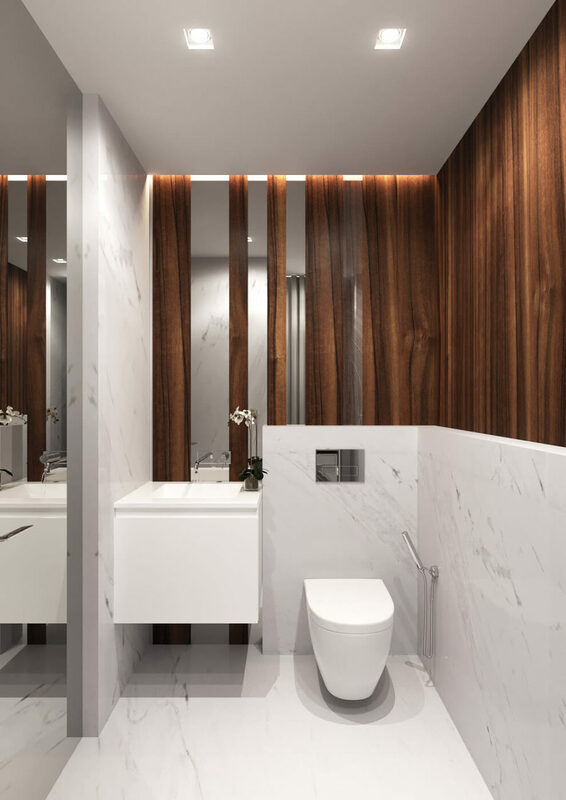 Actual wood decorates another bath finished with white marble. 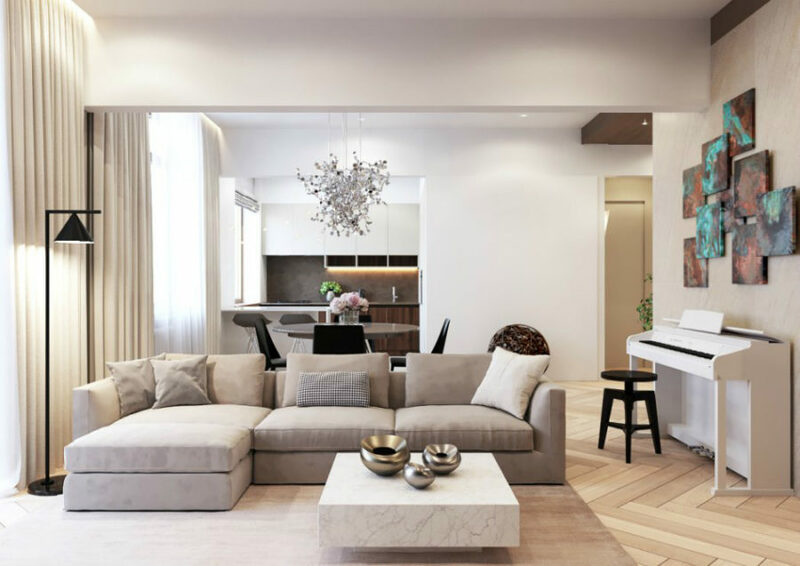 Stay tuned for additional information and other home and decor design ideas that will help and inspire you to design your home.